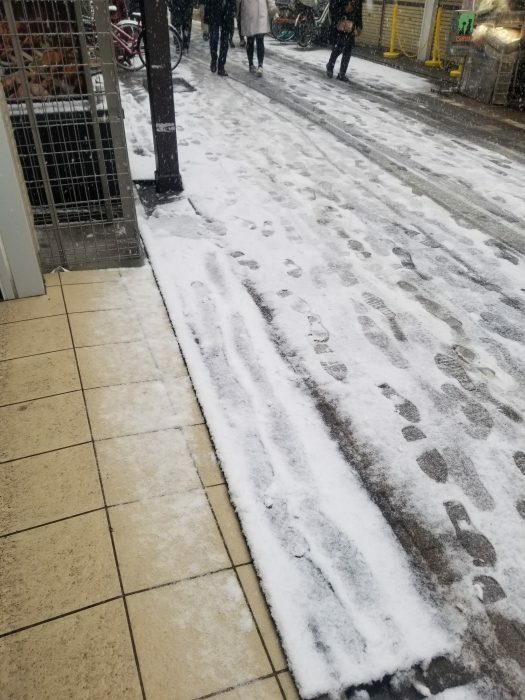 Tokyo doesn’t have much snow. This is very rare. I’d love to say “let it snow.” but I don’t want you all to slip on the road!! Let’s enjoy to see it through a window! Please be safe. Have a good snowy afternoon!